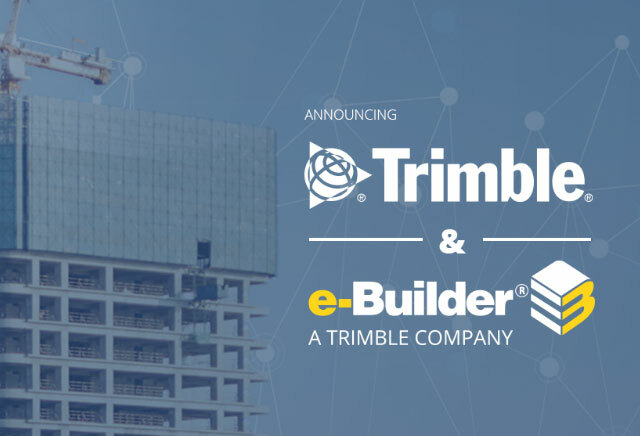 Sunnyvale, Calif. — Trimble acquired privately held e-Builder, a SaaS-based construction program management solution for capital program owners and program management firms. e-Builder extends Trimble’s ability to accelerate industry transformation by providing an integrated project delivery solution for owners, program managers and contractors across the design, construct and operate lifecycle. Trimble’s wide range of construction hardware and software solutions significantly improve project cost, schedule and effectiveness — beneficially impacting owners, architects, engineers, and contractors. The Trimble presence in construction has two points of focus, one on civil engineering projects and the other on the construction of buildings and structures. Both will benefit from the e-Builder acquisition. Trimble solutions leverage constructible Building Information Model (BIM) workflows to integrate processes, improve information fidelity, reduce rework, establish transparency and deliver higher productivity. By using Trimble technologies, contractors and owners are realizing substantial reductions in total project cost. For more information, visit www.e-Builder.net or www.trimble.com.